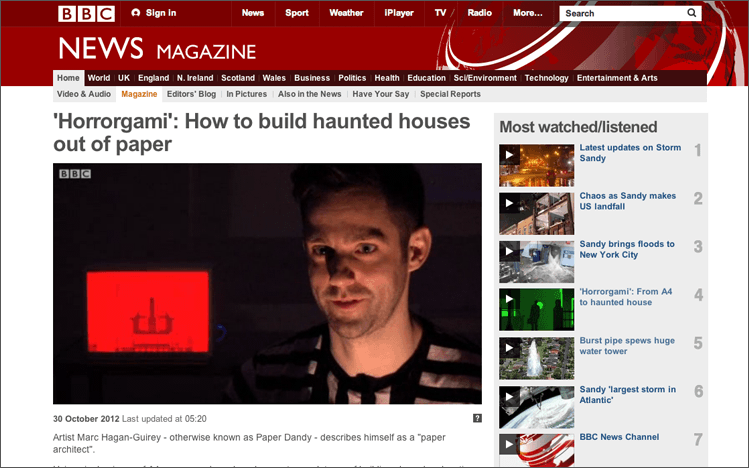 HORRORGAMI IS ON THE BBC NEWS WEBSITE! So overwhelmed to see Horrorgami on the BBC News Magazine section this morning. I doubt any Blue Peter presenters will be worried about their jobs yet. Watch it here If you want to have a go at making the Zombie Mini-Horrorgami featured in the clip then you can download the template right after the jump. I'll retweet any images of models you've made. Modifications are welcome!